Less than a week after Marie Vega met with President Donald Trump in McAllen on his visit to the border, she tearfully watched as the last remaining defendant who killed her son, Border Patrol Agent Javier Vega Jr., enter a guilty plea and receive a 50-year prison sentence. Border Patrol agents filled the courtroom for a scheduled motion hearing before Ismael Vallejo-Hernandez went to trial next week to support the Vega family as the defendant entered a surprise guilty plea to a charge of murder and attempted capital murder. He received a 50-year sentence on each count to be served concurrently. Vallejo-Hernandez shot and killed agent Javier Vega Jr. and shot and injured the man’s father, along with Gustavo Tijerina-Sandoval, while they were fishing in a remote area of Willacy County on Aug. 3, 2014. Tijerina-Sandoval has been sentenced to death for his role in the killing. During the victim impact statement given by the slain agent’s mother, Marie Vega, she told Vallejo-Hernandez, “I will never forgive you for taking the life of my son.” She called him a vicious, illegal rabid animal. She told him he spends the rest of his life thinking about the day he dies. “I hope you spend the rest of your life in prison thinking of the day you finally die,” Vega said in an emotion prepared statement. 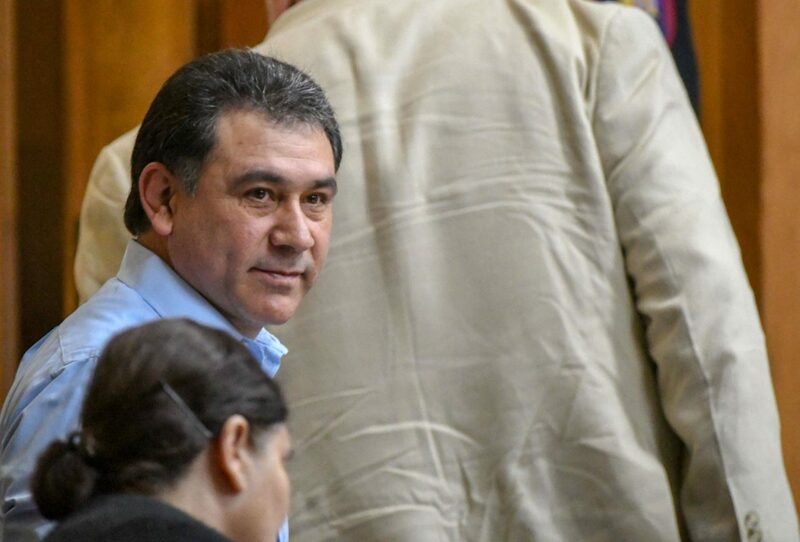 Tijerina-Sandoval, was convicted in June of last year after a six-week jury trial and sentenced to death has appealed his sentence. As part of today’s plea deal, Vallejo-Hernandez agreed to testify against Tijerina-Sandoval in any appeal proceedings or re-trials. He also agreed to waive all appeals and listen to the victim impact statements. The Border Patrol agents lined the courtroom and hugged each of Vega’s family members.